Luxturna is a novel gene therapy. It is used to treat congenital disease related to vision, or we can say inherited blindness. It is a rare disease. Its active ingredient is voretigene neparvovec. FDA have decently approved luxturna making 2017 a milestone year in medicine field. The active ingredient of luxturna is used to treat vision related disease named retinal dystrophy. 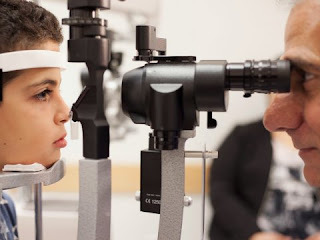 In this condition, patient suffer from obscured vision at very young age and it can further lead to complete blindness when patient becomes adult. Basically this disease occurs due to abnormal gene mutation. A gene is responsible for damaging retinal cells and also for production of proteins which are crucial for eyesight. About 2000 people from all over the world get effected to this disease. With the use of luxturna, genes can be replaced and healthy genes with protein generating capabilities can be restored. The gene is injected just below retina. Delivery of healthy gene creates more healthy enzymes and on the other hand it stops progress of disease. It also improves vision of patient but in rare cases. Food drug authority approved luxturna after third clinical trial stage. It also have some side effects along with beneficial effects. Retinal pigment epithelial cells produce RPE65 which converts all Trans retinal into 11 cis retinol. This 11 cis retinol forms chromophore i.e. 11 cis retinal which is responsible for vision. Chromophore is formed during retinoid cycle (visual cycle). Gene mutation is responsible for reduced concentration of RPE65 which disturbs visual cycle and effects vision. An adeno virus based on vector gene therapy is injected as a healthy copy of infected gene. Which encodes human retinal pigment epithelial 65 kd protein in cells of retina. And increase production of RPE65 or make it biologically active. Luxturna is indicated for congenital blindness disease named confirmed biallelic RPE65 mutation associated retinal dystrophy. Dosage recommended for this disease is 1.5* 10 ^11 vector genome per eye with the help of sub retinal injection. Sub retinal Injection contains 0.3 ml of total volume. Each eye should be administered with sub retinal injection on separate days with specific interval minimum 6 days apart. It is available in 0.5 ml extractable volume in 2 ml vial. The concentration of RPE65 which is supplied is 5* 10^ 12 vg/ml. it should be diluted before administration. And the dilution required is 1:10. There are 19% chances of occurrence of cataract and 11% chances of conjunctival hyperemia. Inflammation in eye along with retinal tear. About 4% of cases have reported thinning of corneal stroma called dellen. Macular hole and sub retinal deposits are also seen around eye and reported in about 4% cases with sub retinoid dystrophy treatment. Macular surface may get wrinkles. Pain and itching in eye due to sub retinoid injection administration. Luxturna is used to treat children and adult patients with an inherited form of vision loss that may result in blindness. Luxturna is the first directly administered gene therapy approved in the U.S. that targets a disease caused by mutations in a specific gene. Luxturna cost is difficult to evaluate at the moment as according to market survey this drug is currently not available at retail pharmacies because it is recently approved by FDA and is under manufacturing process. Once, it will be available at retail outlets we will let you know about the unit cost of drug and its dosage frequency. Copyright © Drugs Cost, Side effects, Dosage, Uses This material is provided for educational purposes only and is not intended for medical advice, diagnosis, treatment or promotional purposes. Our Data sources include FDA, CDC, NLM, NIH etc.